It’s dark. The rain is driving down hard. And you’re stuck in a blackout, in your broken down car, or by the side of the highway staring at a dead phone battery. For all our technological prowess, there’s definitely not an app for that. It’s 1000mAh lithium battery may not have the umph to power your Macbook through a conference, but it’ll certainly give your gadgets enough juice for that all important call to your family, the emergency services or for contacting roadside assistance and getting you back on your journey. 2. Solar Panel for when you’re stuck in the sun with no outlets in sight. And once it’s powered, you’re looking at a battery that will go. 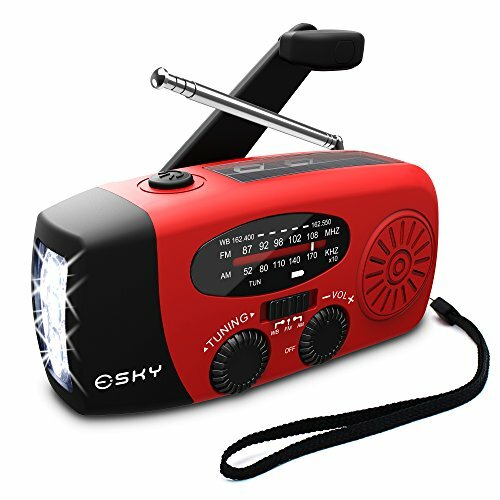 With enough light to last you through the night or provide up to 7 hours of radio on a full charge. Remain in the loop even when you’re offline with AM / FM radio and the latest weather updates from NOAA.